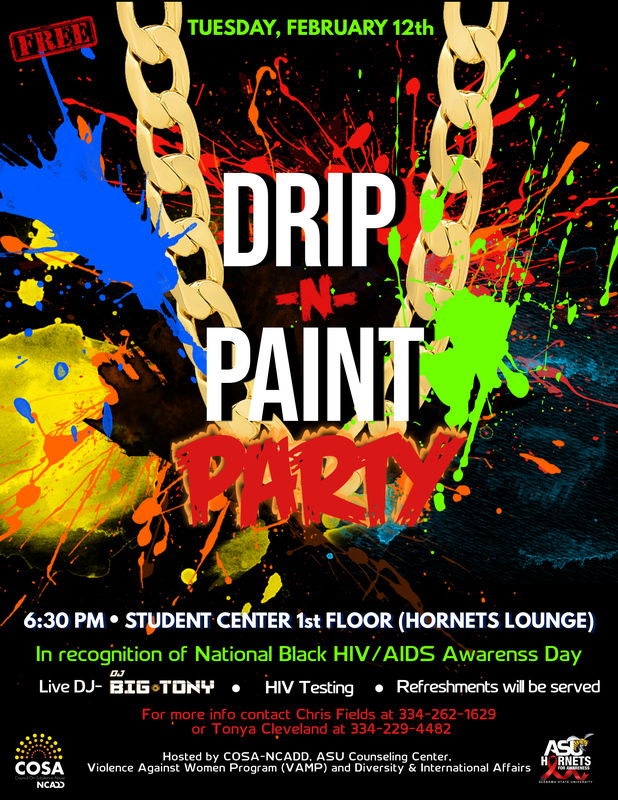 Join the TEEN Direct Project Tuesday, February 12th for it’s first ever “Drip-N-Paint” party! The fun kicks off at 6:30 PM in the Hornets Lounge on the campus of Alabama State University. Enjoy live music from DJ Big Tony and refreshments while painting a masterpiece! For more information contact Chris Fields at 334-262-1629.